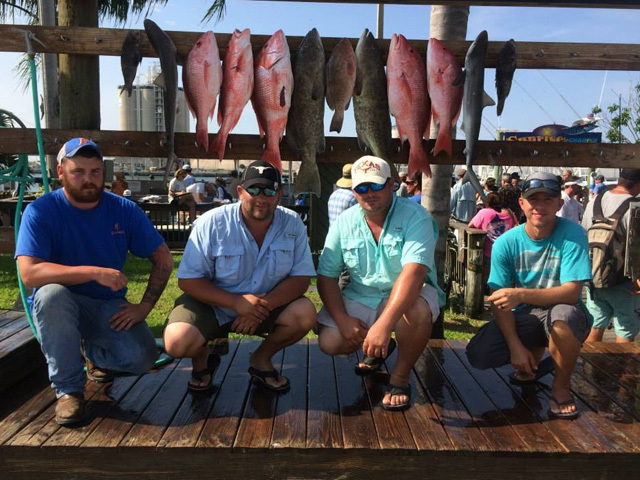 We believe we are one of the finest Snapper Fishing Charters in the Cocoa Beach, Florida area. In fact, if we had a forte', this would be it! 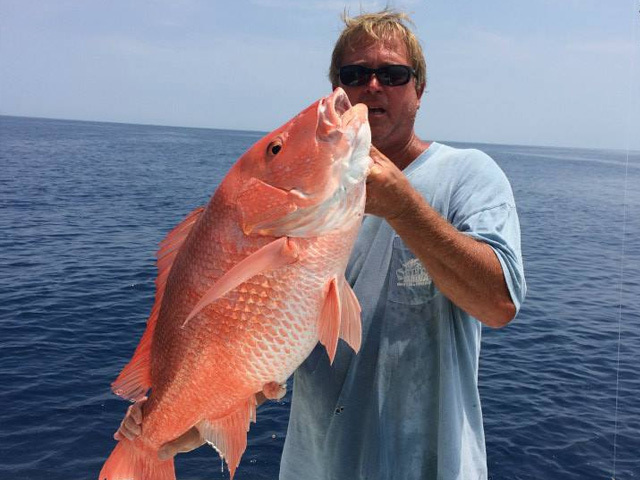 Anglers love fishing for Snapper because they fight hard and are delicious to eat. 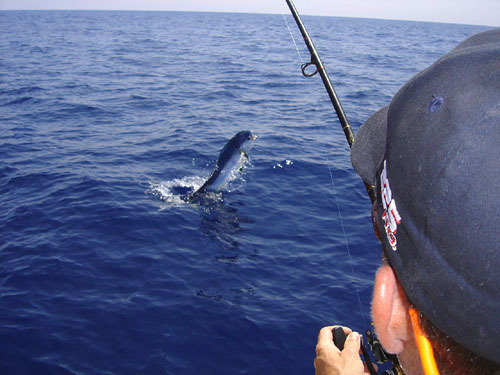 On this fishing trip you and your group will target reef fish hanging around natural and artificial structure. 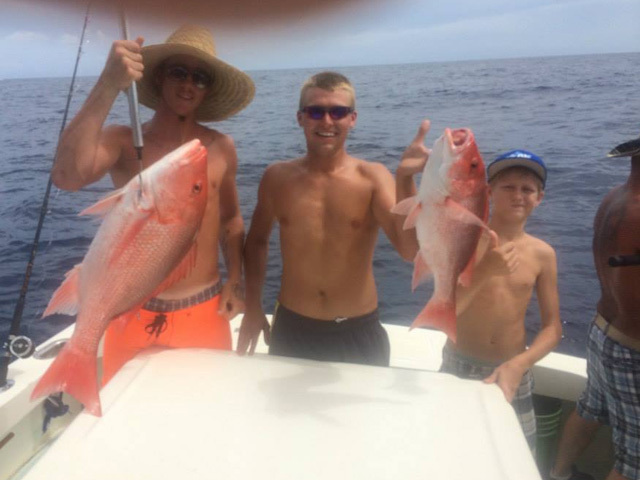 We offer Cocoa Beach fishing charters for Mangrove, Lane, Vermillion Snapper & Red Snapper. This is an excellent fishing trip for families with smaller children. 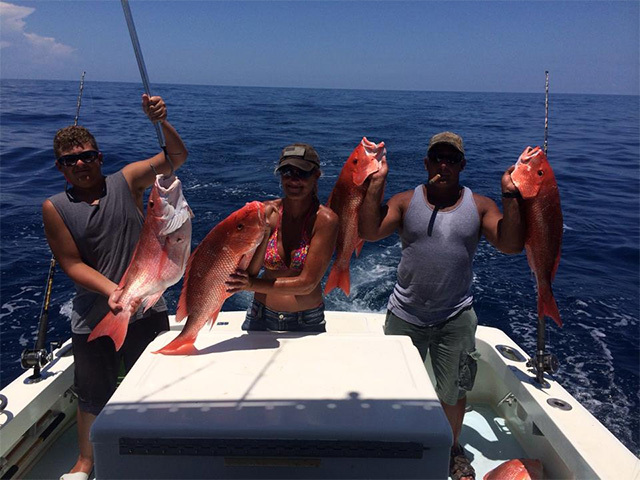 Call Get Down Charters today to bag some delicious Snapper on your next Port Canaveral Sportfishing Adventure! 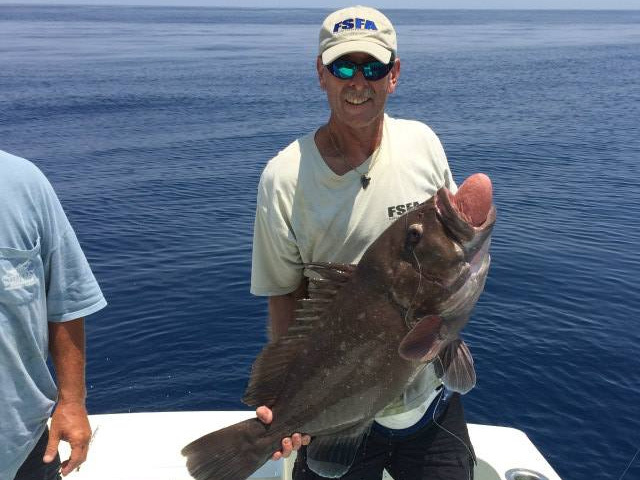 Grouper Fishing Charters are productive and exciting for anglers looking to catch a hardy and active fish. We catch several different types of Grouper so you're in for a treat when we target these powerful fish. 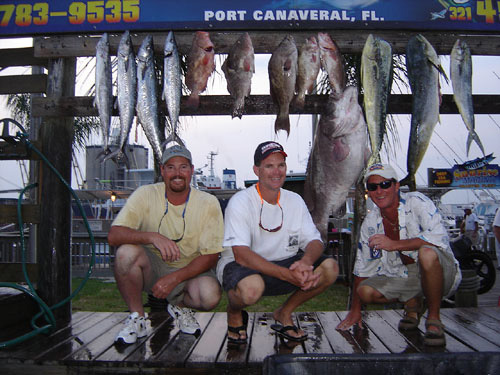 Port Canaveral is well positioned to offer productive Grouper fishing charters. The Cocoa Beach area has underwater formations that attract and hold these fish in good numbers. During the optimal time of year we can catch a variety of 15-40 lb Grouper. 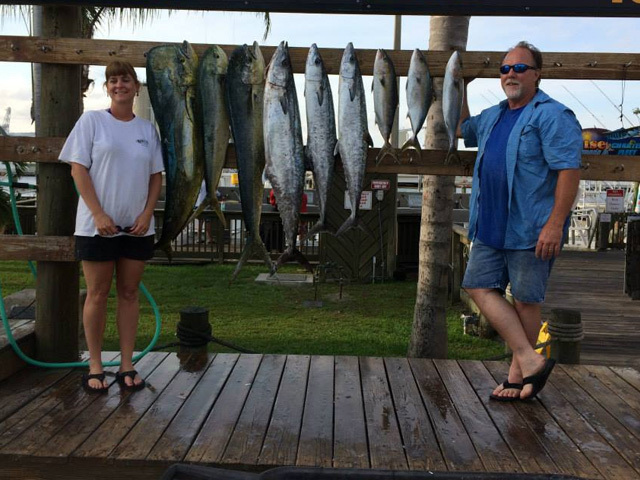 Our Cocoa Beach charter fishing vessel will get you hooked up with these fish, so call us today. We also catch several other different types of species when Bottom fishing off the coast of Cocoa Beach, Florida. Amberjacks are always a fun fish to battle - pound for pound, one of the toughest fighters you are likely to encounter. You can also expect to catch Triggerfish, Porgy, Black Sea Bass, Cobia and the occasional African pompano. This style of fishing allows the angler to actually feel the fish bite and fight the fish from the bottom to the boat. 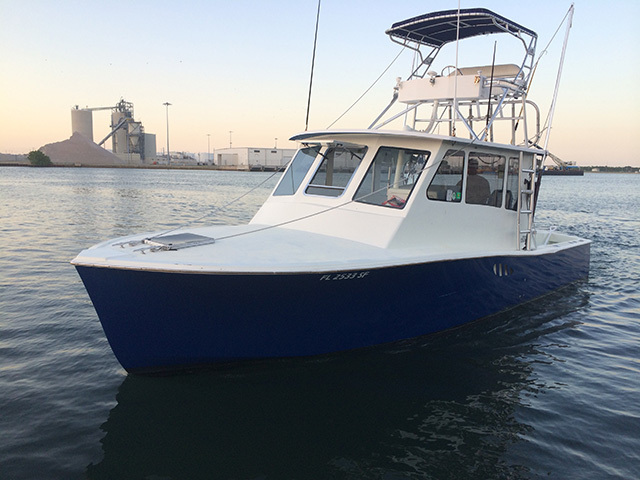 We believe we run one of the most Productive Port Canaveral Fishing Charters in town and would like to invite you out for an exciting day on the water.